I don't know many people who use these, but I have been thinking about using one lately. This may be a coincidence, but I was painting yesterday, and I accidentally (I should have moved it) got paint on a comforter I had in the closet. 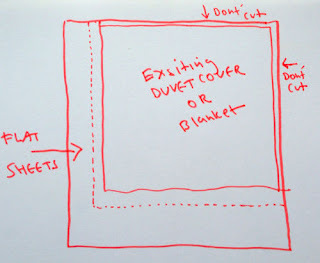 By finding this tutorial, it saved me from DI-ing it or chucking the comforter. 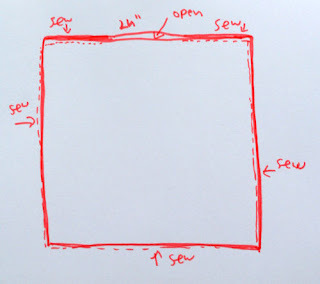 1. lay 2 sheets of the same size facing each other. 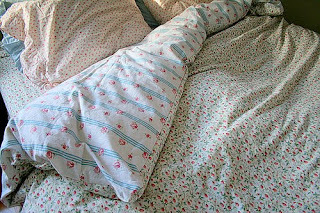 2. lay an existing duvet cover/comforter of desired size on the sheets.